Dear Aspirants, here we have given the daily GK Current Affairs of 12th September 2018. The students who are going for the upcoming bank exams we pushed the current affairs and daily GK updates here. Stay here with the updated current news. 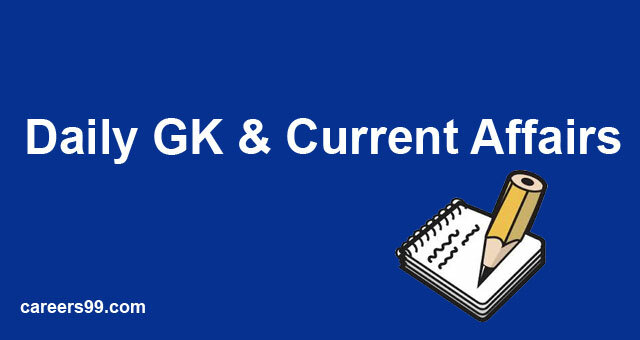 The students who are going for the government jobs, banking exams and other any competitive exams could use this Daily GK Current affair to increase your knowledge levels. In between Bihar & Nepal the Bus services was started. It was started for the 1st time and it was flagged off by the Nitish Kumar a Chief Minister of Patna. First 4 buses from Bodhgaya to athmandu. Alternatively 4 buses from Patna to Janakpur, Kathmandu bus will go via Patna, Raxaul, Beerganj. Janakpur will go via Muzaffarpur & Sitamarhi. To set up Model International Centre for ICTAI (International Centre for transformative Artificial Intelligence) NITI Ayog Intel & TIFR was collaborating. TIFR stands for Tata Institute of Fundamental Research. September 16th to 29th, 2018 the Indo-US Joint Exercise was started in Uttarakhand. Indo-US Joint Exercise named “Yudh Abhyas” was conducted at Uttarakhand at Chaubattia. By both the countries Indo-US the Joint Exercise will be the 14th edition hosted at both countries. In August 1956 Asia Becomes Operational Trombay campus of Bhabha Atomic Research centre. The 1st Research Reactor named “APSARA” it was dedicated to the servicers and the APSARA Reactor was closed on 2009. Indian Railways team Piyush Goyal has successfully launched the Rail Sahyog Portal in online. The web portal is www.railsahyog.in. This web portal named “Rail Sahyog” is to promote platform for the servicers and contribute for amenities near Railway Stations through CSR Funds. CSR stands for Corporate Social Responsibility. Government of Haryana signed MOU with IOC to set the Ethanol Plant in Panipat with a amount of 900 crores. IOC stands for Indian Oil Corporation. Per day the 100 KL of ethanol for managing the crop and to prevent the straw burning before the paddy season. This pact will be valid for one year. This e-Rythu platform was launched by the AP Chief Minister Nara Chandra Babu Naidu. Vibha Padalkar appointed as a Managing Director for the 3 years in HDFC Life. The position has vacant after resigned at the Axis Bank his named Anitabh Chaudary.